From the magnificent handmade themed period Art Deco lighting range. 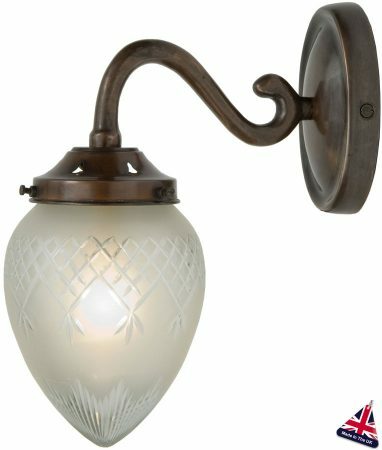 Antique finish single wall light with a downward facing mouth blown cut glass pineapple light shade, hand crafted in the UK to the highest standards. The quality of these lights cannot be emphasised enough and are made to order.